Maybe you’re a professional wanting to try something new and find a job somewhere outside your country. Or maybe you’re a fresh graduate looking for a job or a person willing to improve their resume and cover letter writing skills. It might sound surprising but you’ll need to know the difference between the US and EU resume and cover letter writing either way. In the first case, it’ll help you target your resume to the right audience. In the second one, it will allow you to understand what articles to pay attention to. After all, you wouldn’t want to use tips that work for the EU but don’t work for the US if you’re looking for a job in the US. The job vacancy rate in the euro area (EA-19) was 1.9% in the second quarter of this year, according to the recent data. So it’s no wonder that you have to do your best to present yourself in the right way in the EU. In order to do so (or in order to craft a resume for the right area), pay attention to these main differences in a resume and cover letter writing. Mind that these are the general differences. There’s still a possibility that some of these things are true for one European country but won’t work for the other, so if you’re looking for a job in a specific country, you might want to look for some additional data. However, in general, it all looks as follows. In the EU, you write a CV to apply for a job. In the US, however, CV is a completely different thing. When you want to apply for a job, you write a resume. If you are an academic, a researcher, etc., you craft a CV (curriculum vitae) – a longer and more detailed document. 2. Length of the resume. In the US, people are used to keeping things short: when we’re talking about resume (not CV! ), it is rarely more than one page long. The HRs don’t have much time to look through every single resume properly, so it’s always better to be as precise as possible. Mind that American CV, however, is quite different – it starts at 3 pages and is more detailed. In the EU, people like to be more detailed as well: their CVs usually take 2-3 pages. They say it’s important to add a profile photo to your resume as it will make a nice first impression. This, however, depends on the country a lot. In the US, you almost never include a photo in your resume unless you are a model or an actor. In the EU, the situation is different for different countries but in general, the photo is not included as well. So if you’re not looking for a job in a specific country that requires CV photos, you should avoid adding it to your resume as it could actually lower your chances of getting a job. A personal information section is one of the most important parts of the resume – and also one that can be so hard to craft. Writing it is not easier to many than coming up with proper cause and effect essay topics – but besides the writing process itself, you need to understand what to write in order to look good. – your gender and nationality (not necessary though). If you do plan on including this data, make sure to put it just below the contact information. When it comes to the US, however, you should be careful. 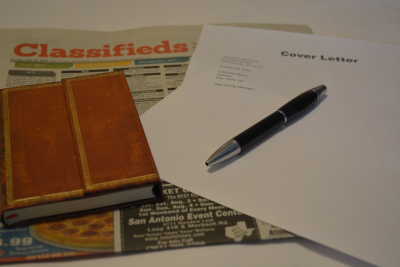 Mentioning any personal information in your resume or your cover letter is usually considered very unprofessional. Probably only gender could be considered as an exception as it could help the HR understand how to refer to you if your name is gender-neutral. However, even in this case, it isn’t necessary. Hobbies and personal interests can be a tricky thing too. It’s okay to mention them if they are somehow related to the position you’re applying for. In any other case, you should avoid including them in your resume – as the job market is so competitive these days that adding any kind of information not related to the position to your resume could make you look less professional and appealing to the HRs. While there are indeed some differences between the EU and US resumes, you need to remember, none of them are too complicated to understand. Once you find out what you should avoid, it will be easy for you to keep these things in mind and tailor your resume for the right job market. Also, you always can turn to essay writing services specializing in resumes and get some advice from them. Good luck!